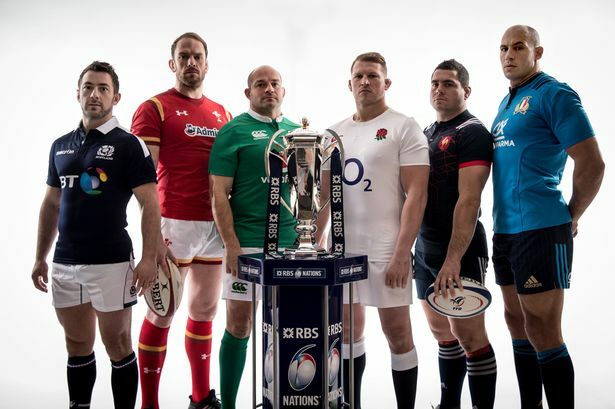 TOTAL FLANKER...a rugby blog: But is it rugby? I have to say I’m really not sure what to make of yesterday’s England v Italy game at Twickenham. On the one hand I want to say well done to Italy for implementing an innovative and effective defensive strategy by refusing to engage in rucks and rendering the offside-line obsolete. On the other hand it did turn the game into a shapeless shambles in which referee Romain Poite appeared to be complicit. It looked to me like he was enjoying just a little too much the fact that England were for the most part bamboozled by the Italian tactics. Poite may well just be “a referee, not a coach” but it did feel for much of the game that he was an enthusiastic and active participant in the Italian gameplan. I know it is common for coaches to speak to referees beforehand to seek clarification on how the game will be refereed, but I think it’s now clear that such briefings do need to involve both teams to avoid the perception of referee collusion. Monsieur Poite also, in my view, made several calls wrongly, allowing Italian players to disengage from the ruck before making the call “tackle only”. That said, England’s failure to cope with the Italian tactics and their failure to adapt to the referee was extremely poor and their overall performance level, especially in the first half, was shockingly bad. Eddie Jones may be decrying the Italian approach in public, but in private he must be more than a little miffed that England were comprehensively out-thought by Italy for much of the game and will be furious with his players’ inability to deal with the unexpected as well as some of the performances of individual players. Owen Farrell had a shocker on the occasion of his 50th cap, George Ford was again defensively frail, Danny Care looked bewildered for 40 minutes, James Haskell and (worryingly) Dylan Hartley looked clueless, Nathan Hughes and Dan Cole gave away a succession of mindless penalties and the whole team looked rudderless for long periods. Only Joe Launchbury, Maro Itoje, Elliot Daly and Jack Nowell emerged with much credit from the debacle. It will be interesting to see what the fallout will be in terms of selection for the Scotland game in a fortnight. I suspect Jones’ patience with some players is running a little thin.